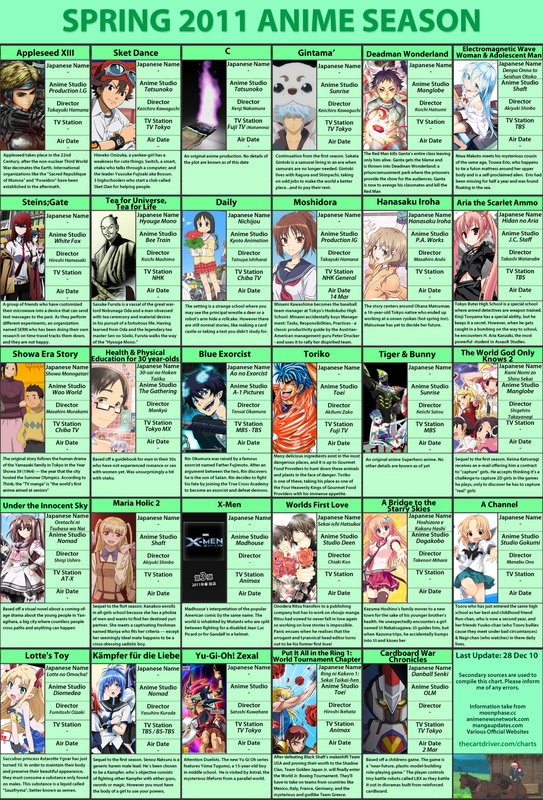 Nelson has V2 of his chart, and we have another chart from animechart.desu.ru, with a Russian alternative too. 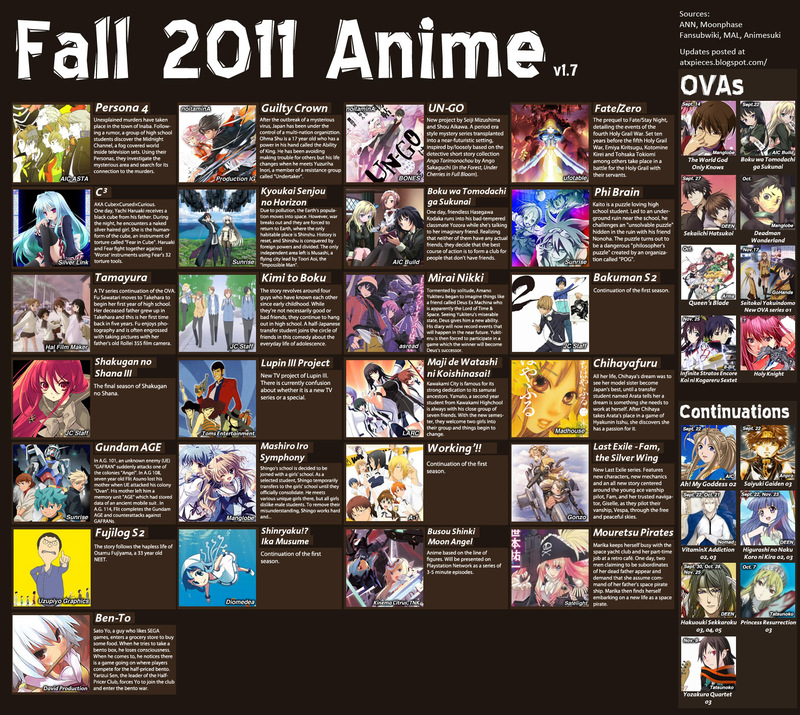 This season sees all the big name studios back in one season together, so it should be an interesting one. April is approaching, so here are the updated versions of the Spring 11 preview charts, provided by the superb nelson☆彡 and The Cart Driver respectively. 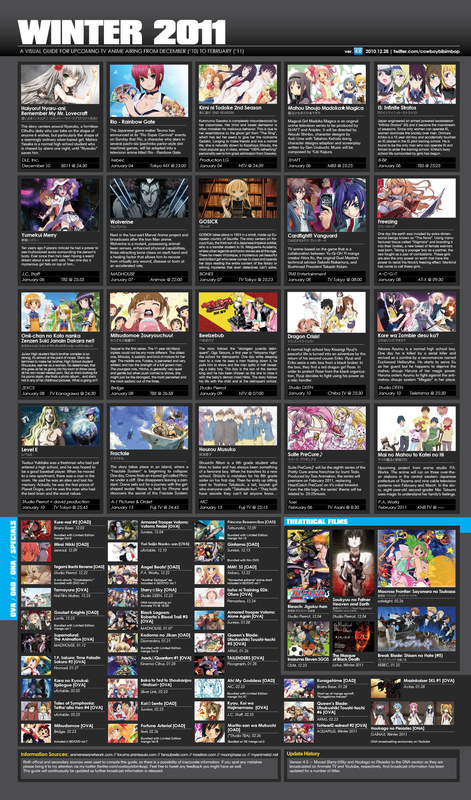 Remember that the recent Earthquake in Japan may have an effect on the times and dates of some anime, the actions of studios and TV stations, and content within some shows may possibly lead to episodes or series being rescheduled or even censored in some cases (scenes of disaster aren’t going to be particularly popular right now). 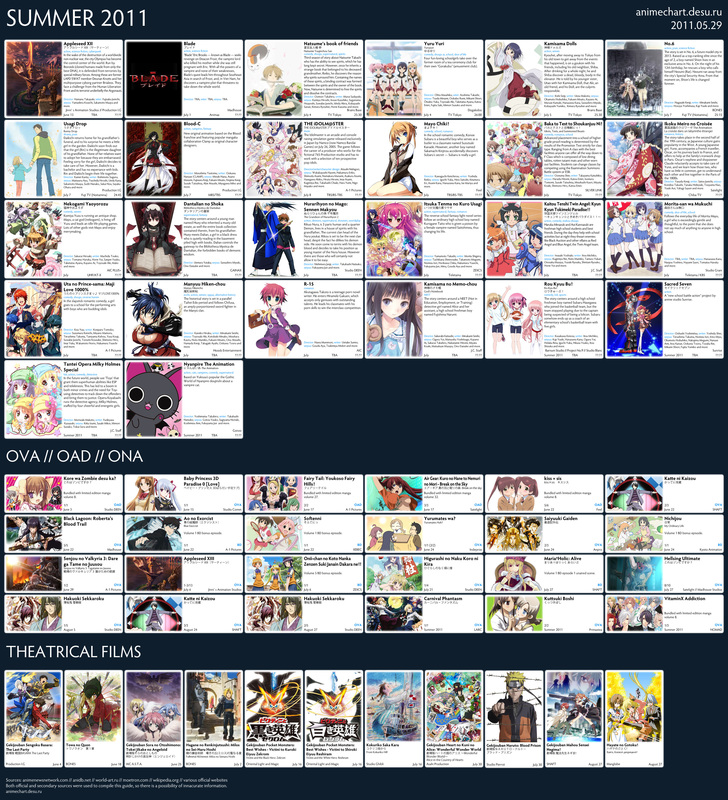 Nothing major seems to have happened to the industry or schedule so far, but it’s worth keeping in mind. The magnificent nelson☆彡 and The Cart Driver provide a preview of Spring 2011, for those interested. Praise their enthusiasm. 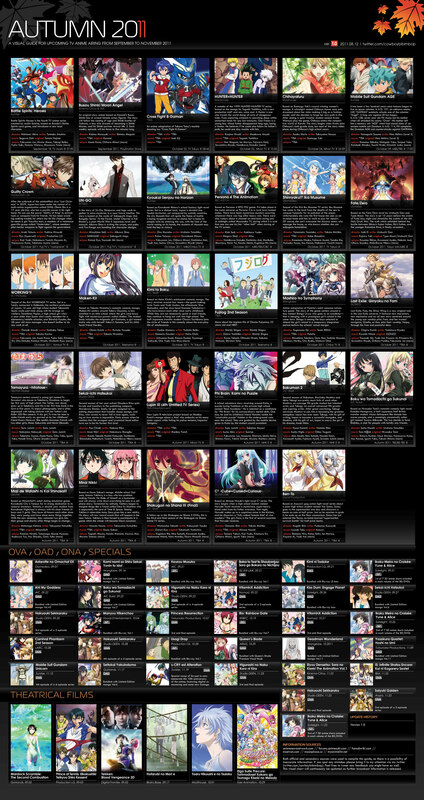 There’s been a good deal of previews floating around, from various different people, that cover both this new season and the upcoming Spring too. It’s great to see people taking on the ‘responsibility’, if you will, to keep people easily informed on what’s coming up. nelson☆彡 provides a nice visual summary of the current Winter season. Many thanks! 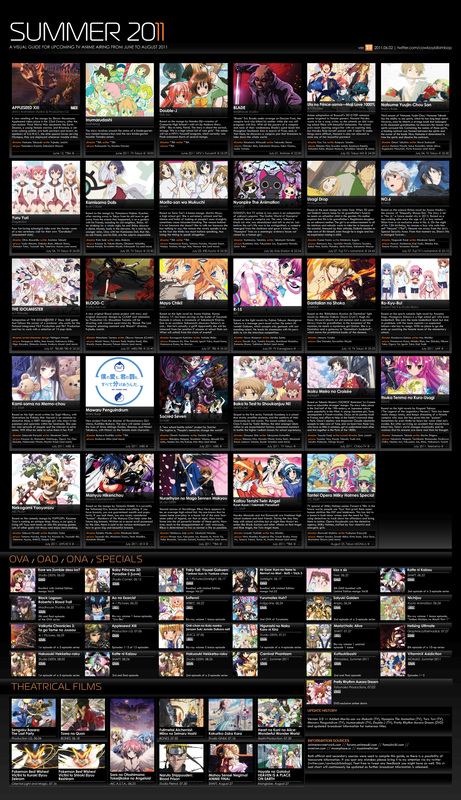 The Fansub Wiki – Good list of upcoming TV series, and information on what groups are going to translate them. 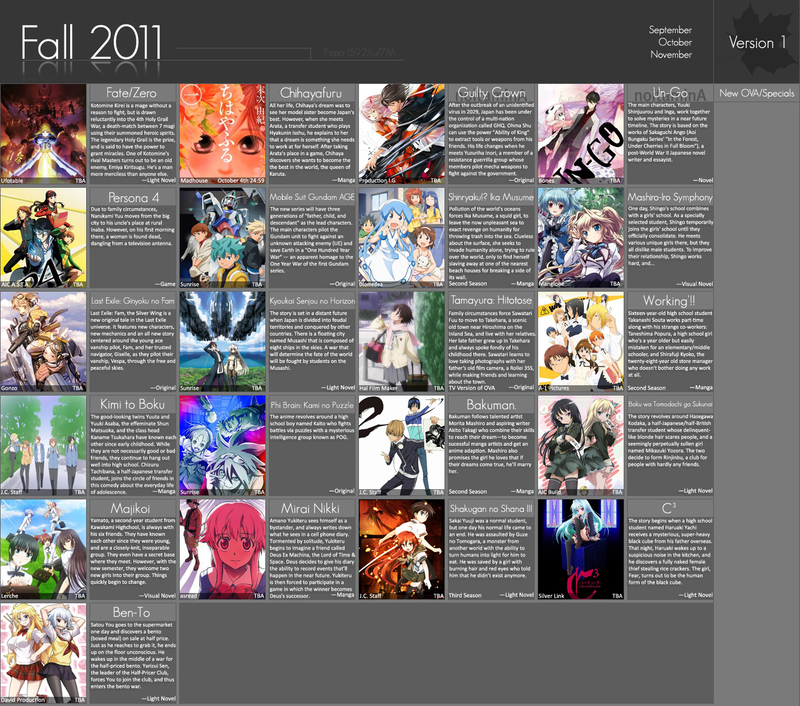 Sort of haven’t bothered with the V2 of Fall, mostly due to moving into Uni, gaining what resembles an actual life and then some extra work on top of that, leading to a neglect I only noticed when the large amount of Fall anime suddenly appeared online, at that point adding any extra info a fairly redundant idea. I might do Winter, but no promises. In the case that I don’t continue these charts, I think enough of a precedent has been set that someone else will pick up the task – in which case, “my work is done”. Right now i’ll be subtly pressuring The Cart Driver to do just that, who is doing a great job, so I recommend you all take advantage of his nifty preview charts.